Antique Aviation Postcard Collection. 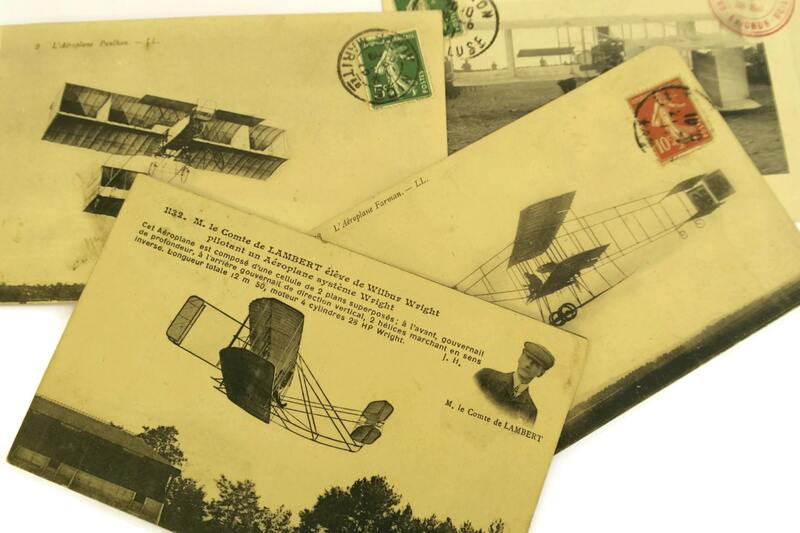 French Antique Plane Photo Printed Post Cards. Gift For Pilot. 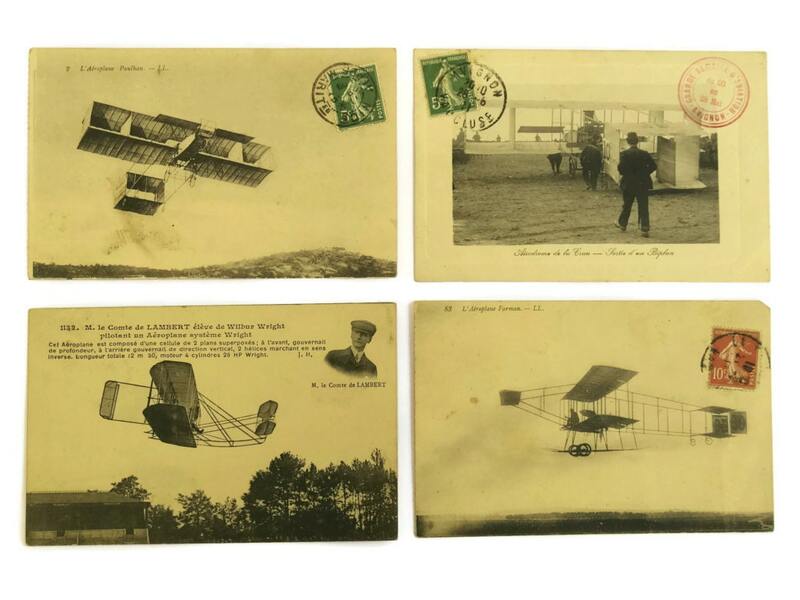 A set of 4 antique French aviation themed postcards. Each card has been printed in black and white and dates to the 1910s. b)The Count of Lambert ( Student of Wilbur Wright) piloting a Wright system plane. d) The Crau aerodrome. 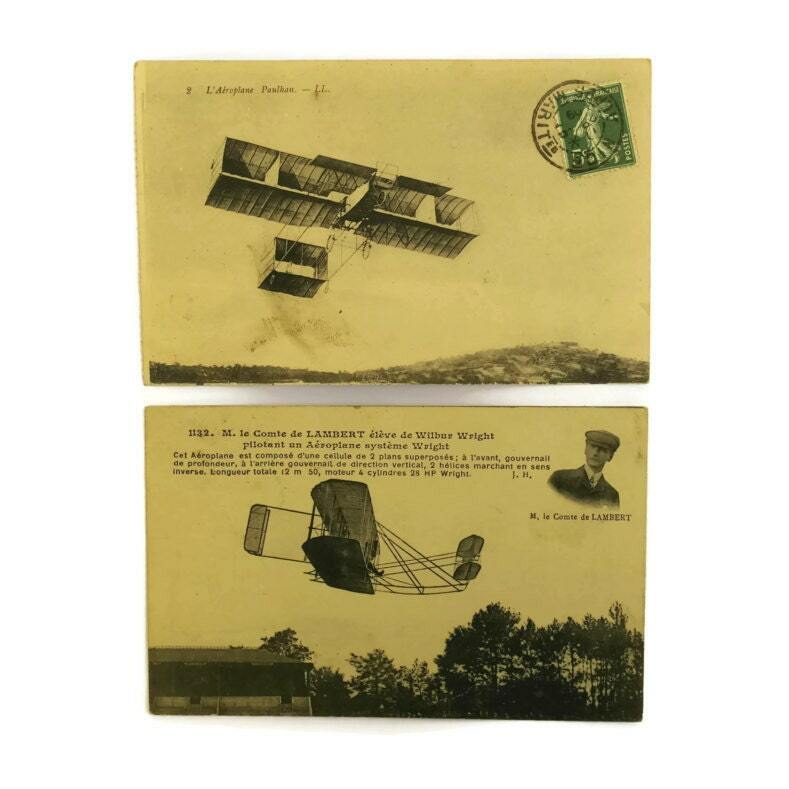 ( With a postmark from the 1911 aviation week in Avignon). 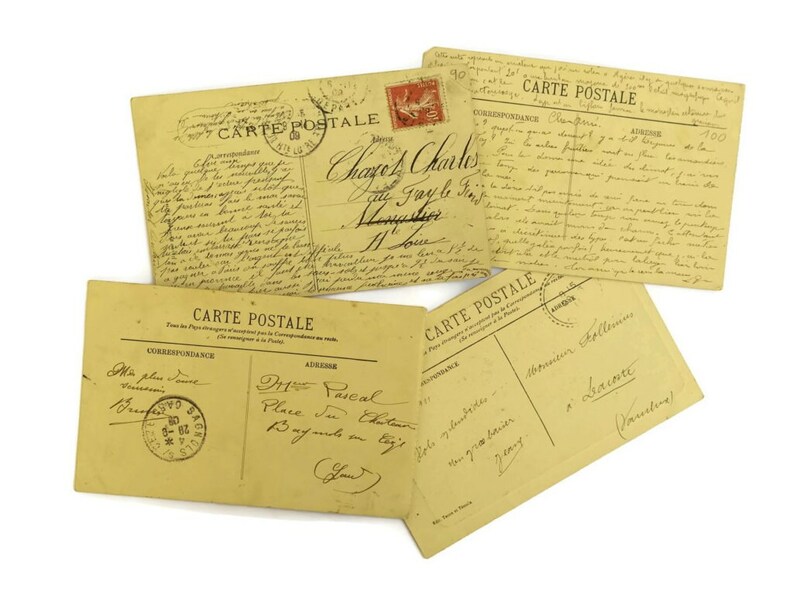 The original antique cards have all been postmarked and used with hand written messages on the reverse. The set of postcards is in good used condition with signs of age and wear including light surface marks and wear to the paper. One card has a small tear to a corner. Item ref: Antique Aviation Postcard Collection. 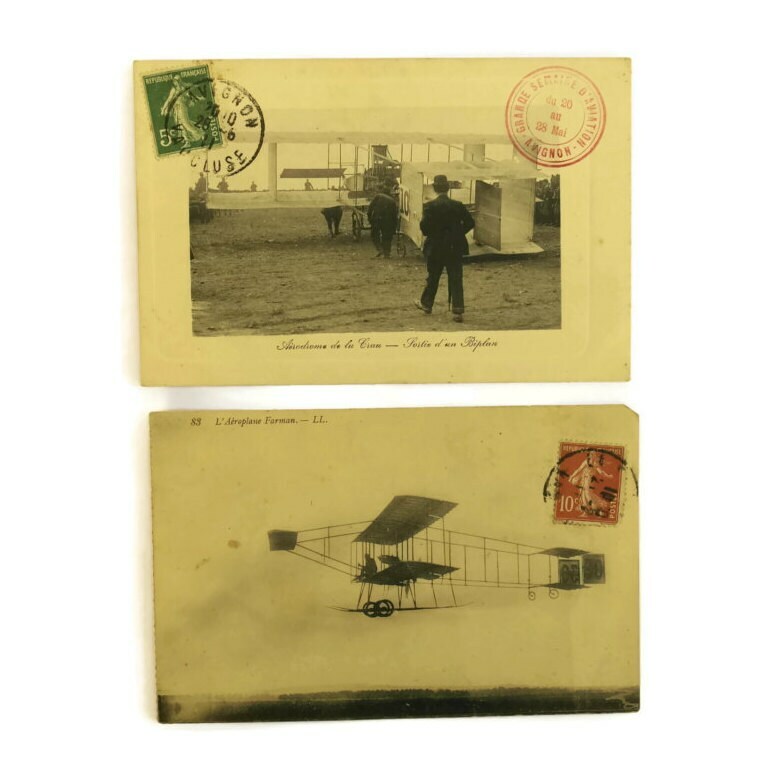 French Antique Plane Photo Printed Post Cards. Gift For Pilot.